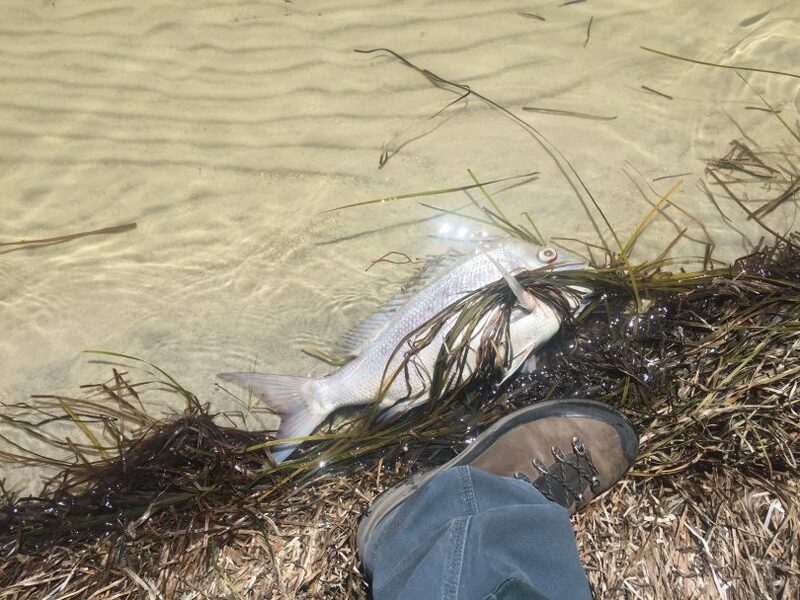 Poor water quality is the suspected cause of this week’s fish kill at Wallagoot Lake. Photos: Doug Reckord. 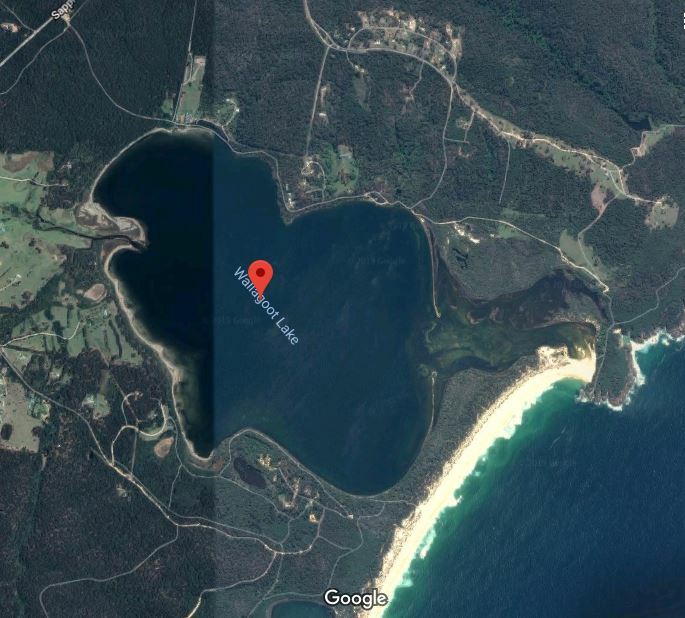 A large fish kill at Wallagoot Lake between Tathra and Merimbula has been blamed on poor water quality, with fears more marine life could die. Thousands of dead fish including beautiful good-sized snapper and Leatherjackets were first reported washed ashore on Monday (11 February) at various locations around the lake within the Bournda Nature Reserve. 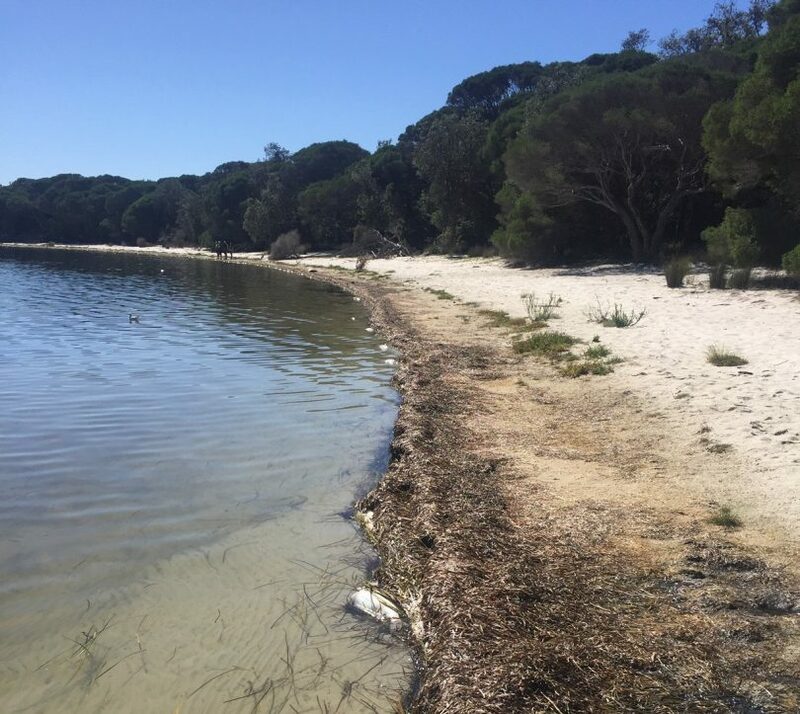 “Results received today from comprehensive testing by Council has indicated dissolved oxygen levels are poor throughout the lake and in some locations below levels able to support aquatic life. 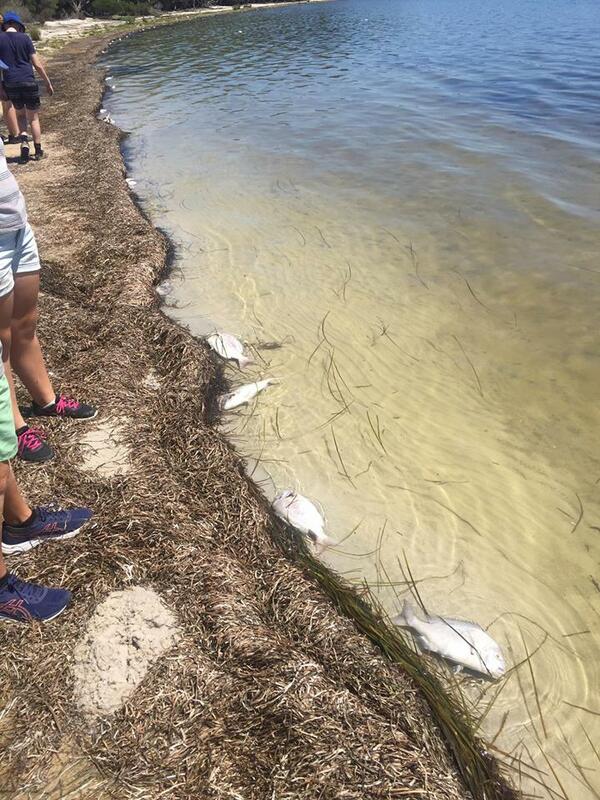 Thousands of dead fish including beautiful good-sized snapper and Leatherjackets have died. Doug Reckord, Principal of the Bournda Environmental Education Centre says he has never seen anything like it during his 25 years of working at the lake. “People jump in and say – open the lake. It’s an ageing system and evolving in a setting where there aren’t significant flows coming down a river,” Mr Reckord explains. DPI Fisheries will continue to work with Council on assessing the current fish kill. Mr Reckord says historically the average length of time Wallagoot is closed to the sea is about 15 years. He says the last time the flushing waters of the Tasman Sea washed in was in 2016. Of greater concern to Mr Reckord are the impacts of climate change, which he believes could be playing out within the Bournda Nature Reserve right now. “The lake water level is very low despite the fact we have been getting good rain,” he says. “It seems to be persistently low, so who knows, maybe climate change with increased evaporation rates and higher than normal temperatures are all contributing to this situation. Wallagoot Lake between Tathra and Merimbula was last open to the sea in 2016. Photo: Google Maps. Because of the sensitivity and size of the lake’s catchment, Mr Reckord says land uses around the waterway need to reflect that. “It is just so obvious that if you start digging up the side of hills and removing vegetation you will hurt the system and destroy what we all love about this place,” he says. #Region Media has approached Bega Valley Shire Council for further advice. I CAME....I SAW...….I DESTROYED ! I have just come back from a ride along the northern side of the lake and yes there are dead fish there. What struck me as odd was the fact that there were many sea gulls and pelicans as well as an eagle. None were interested in the fish. Does that indicate anything ? BVSC should be monitoring the shires estuaries particularly; Wallagoot, Merimbula Back Lake and Curalo at Eden. Undertaking regular water testing and whenever oxygen levels become low immediately opening the lakes.